It’s official, the crew has passed the 2,000 miles this morning! Aodhán just rang and sounded good. The weather is improving, he doesn’t have any blisters on neither hands nor feet miraculously and he’s enjoying the great team effort. His Irish skin is getting a beating though, especially in the afternoon when the temperature is continually in the high thirties and as a result he has developed a painful heat rash on both legs. He told me that they are now around 10 nautical miles behind on the World Record scheme, but on the scale of 2,000 miles this is something they should be able to overcome when the improved weather conditions remain. Some of you who listened to his Heart FM interview were surprised with Aodhán asking me if I was on my way to work. It still amazes me how he takes my lunch breaks at work into consideration to time his call. It’s mad that he’s able to place himself in my shoes while being at the middle of the Atlantic and never having slept for more than 2 hrs in one go. He thanks everyone for their great support and was happy to hear that the Girl’s Night In fundraiser went well last Saturday. Please click here if you still want to donate to his charity, or click here if you want to sponsor a few of his strokes. During this morning’s Heart FM radio interview, Ian sounded more tired than he has sounded so far. He told us that the weather just hasn’t been their friend, but that they are only in touching distance of the World Record. Keep at it guys! 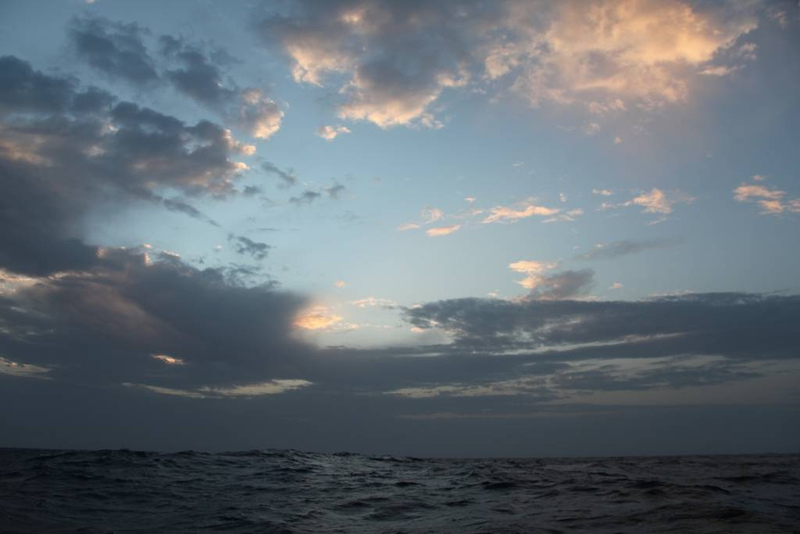 Read Mark’s latest blog post in the Independent, in which he describes the heat, how tough this challenge is and the magic of the constant changing waters the crew is rowing through. Mark speaks in the 27th pod cast about the great team morale, seeing nothing but orange coloured plants drifting on the ocean and thinking that he saw killer whales where the rest of the crew think that he hallucinated: http://embed.ipadio.com/embed/v1/embed-352×200.swf?callInView=99267&channelInView=&phlogId=41329&phonecastId=124087. Well done Aodhan (and all the crew), may the Lord protect you and His spirit guide you and give you the strength to complete you epic journey.